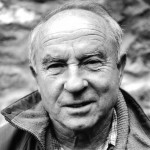 Patagonia founder Yvon Chouinard and I were both born within a mile from the Androscoggin River; he in Lewiston and myself in Brunswick, 20 miles downstream. Back in those days, Maine’s third largest river foamed with pollution from paper and textile mills. Before Chouinard and his family moved to California, the young boy must have smelled the stink of its unfortunate brown water. 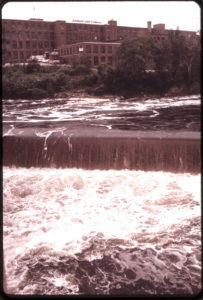 Androscoggin River in Brunswick, circa 1970, polluted and stinky. swimmable. I think Chouinard, known as much for his environmentalism as for the clothing and gear company he established, would be pleased. The 77-year old Maine native is the “philosopher-king” of a growing band of companies making “eco-conscious” gear for us riders and outdoor recreationalists. He’s helped push sustainability and environmental impact to the top of the priority pile when many consumers consider purchases. That we might possibly contemplate the answers is due in large part to the Patagonia influence. This month, we review two new sleep-well-at-night purchases: the Bivy Jacket and Denim Straight Jeans. Recycled cans. Recycled bottles. Recycled goose down? Yes. The tough, warm Bivy is made from reclaimed down from used down products. Same lightness and incredible insulation without killing geese. The Bivy is horse- and barn-friendly. 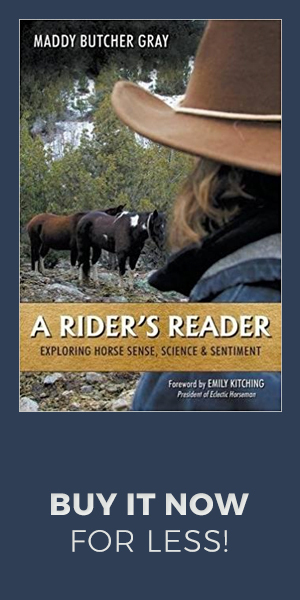 Its outer material effortlessly sheds hay, shavings, horse hair, rain, and snow. The tough nylon canvas won’t rip when you move past barbed wire or ride through brush. 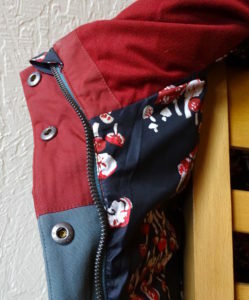 The zipper is easy to handle with gloves and never gets caught in fabric of the jacket placket or liner. The hem sits below the waist with an extra, flattering few inches on the backside to ward off drafts. 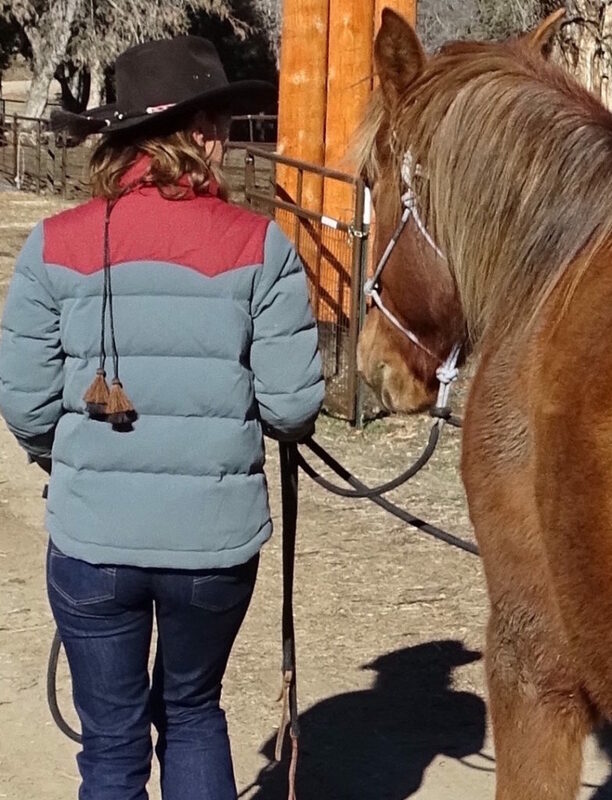 The western yoke styling and the colorful print lining make this hard-working jacket fun to wear. It’s pretty without being foofy. By visiting this page, you can read where the Bivy was made and follow the supply chain for the jacket. Stay warm during winter days and sleep well at night. 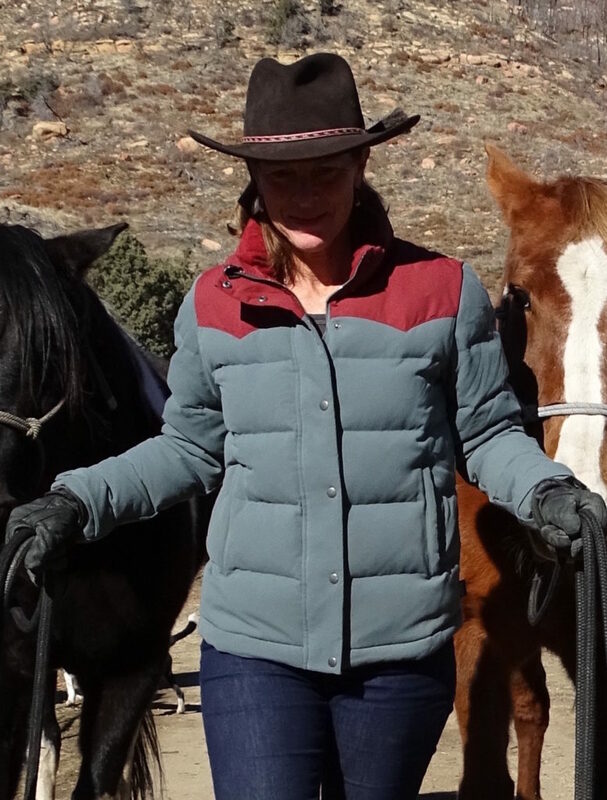 Posted in Gear, Reviews and Links and tagged bivy jacket for women, patagonia, reclaimed down.